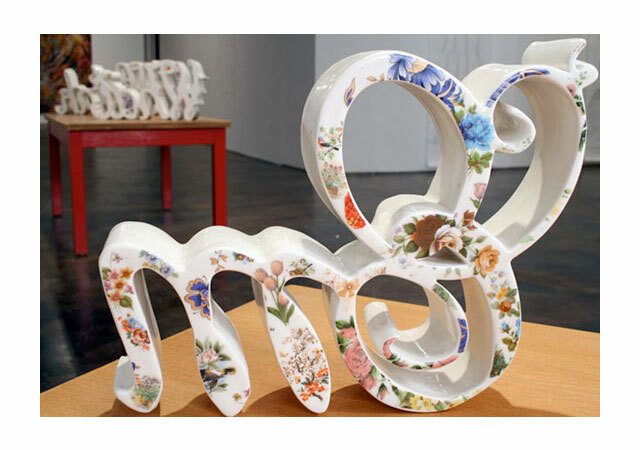 Today I'm feeling inspired by the creations of Stephanie DeArmond, who uses traditional hand-building techniques to make typographic forms from clay. 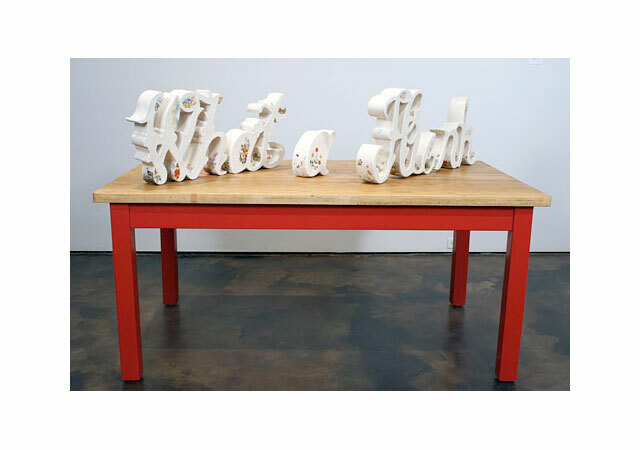 Her creations are based on her own hand-drawn lettering and vintage letterforms. 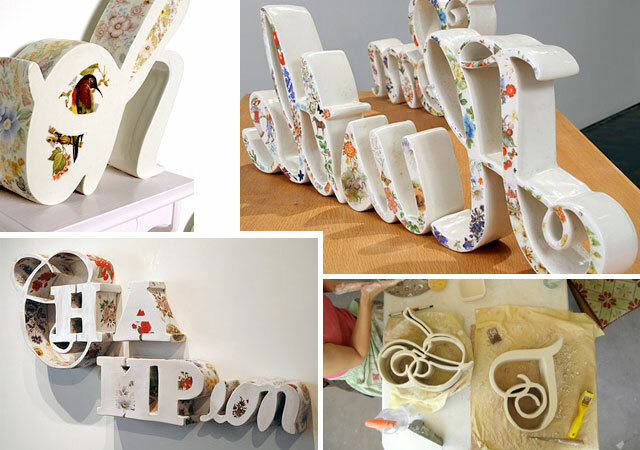 Each piece is unique and finished with glazes, vintage ceramic decals, or painted-on black slip. I especially love the juxtaposition of solid, white and modern forms daintily overlaid with floral patterns of the past. You can read more about her in this interview.